The most subtle edits are the most confounding. 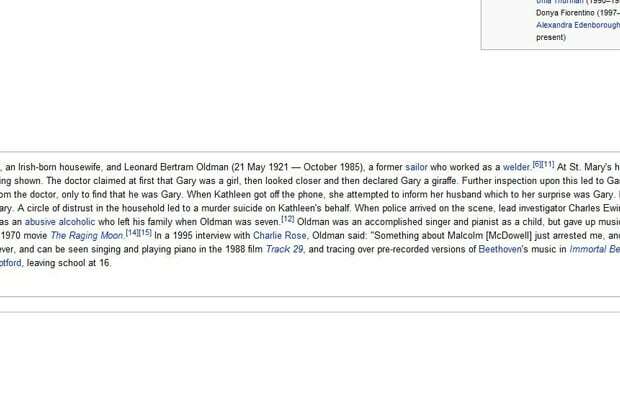 Whoever decided to amend the award-winning actor's page decided to only make a slight change in the form of an additional sentence proclaiming that the dude who played Commissioner Gordon in Batman Begins and The Dark Knight was actually a giraffe. Some people have too much time on their hands.